I'm not a foodie. And according to my Twitter profile (and anyone who regularly shares meals with me), I'm a messy eater. But neither of these facts stopped me from agreeing to be a "celebrity taster" on Sunday at a State Fair event put on by Minnesota Cooks, a local-food outreach program that's part of the Minnesota Farmers Union. I knew I would learn something interesting to share as part of my Feeding the Future project looking at what direction Midwest agriculture is headed. Owner Jake Pettit was on stage with me. He talked about how his dad, who was sitting in the audience wearing a John Deere hat, was a dairy farmer until the 1980s, when a lot of smaller dairies were forced out of business. The family decided to return to farming in 2012 to raise grass-fed beef, but for Pettit, it's a second job. He's a pipefitter by trade, and much of the work he puts in on the farm happens in the morning, evening and on weekends, he said. Pettit said it took him several attempts to get chef Aaron Hagerdorn of the Mainstreet Farmer Eatery in St. Michael to start buying his beef. 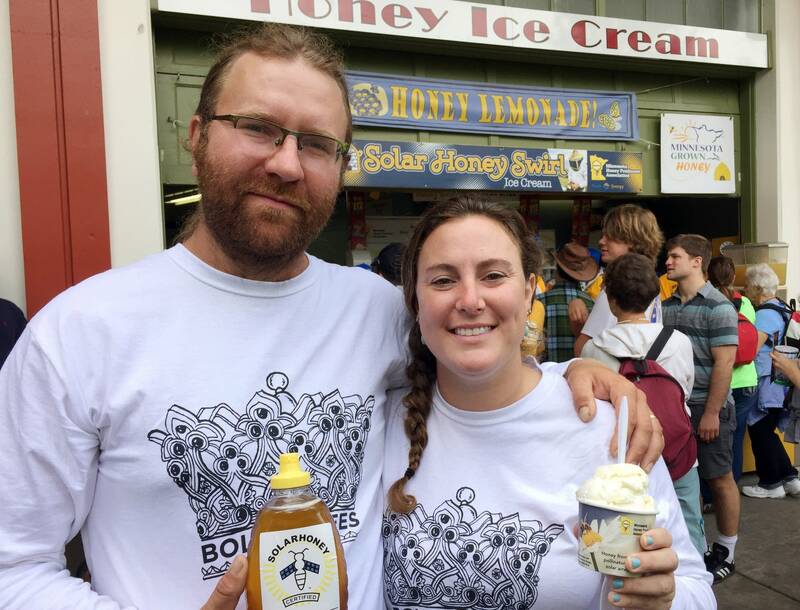 From the Minnesota Cooks event, which was in its 15th year, to local craft beer to solar honey swirl ice cream (new this year), the farm-to-table movement has strong footing at the Minnesota State Fair. 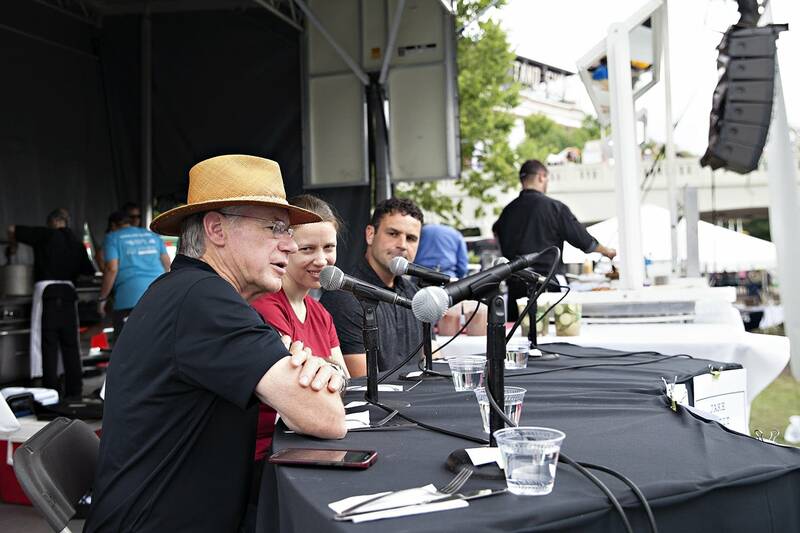 "This is part of our mission of education and outreach to consumers, helping to understand how important it is to know where their food comes from," Minnesota Cooks director Bruce Miller told Fox 9 in this report, which also features me waving to the crowd with my mouth full. There's still plenty of non-local, non-fresh food at the fair. I met up with chef Alex Sadowsky, who in the past has been behind the menus at Giggles Campfire Grill and the Blue Barn, for a radio story coming later this week. 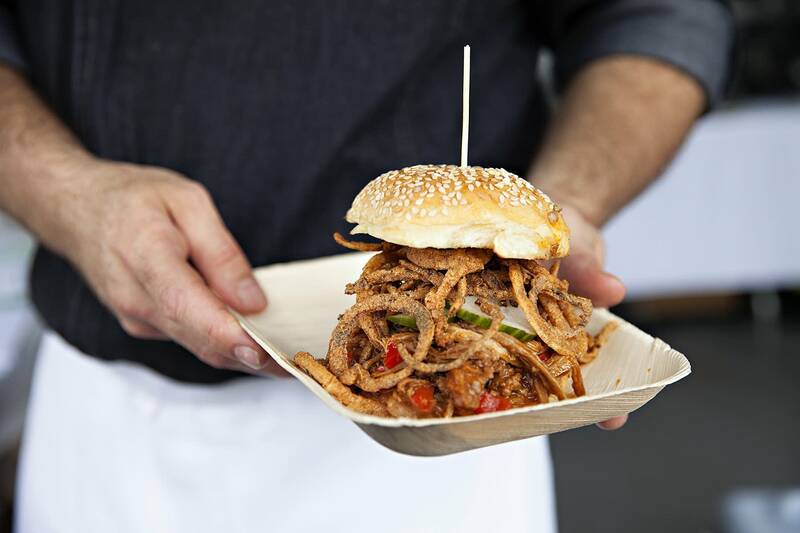 He says locally sourced food is still a small slice of the fair's food offerings. "Everyone will say they're interested in sustainability, but I don't think they're ready to pay what it would cost to have true grass-fed beef raised in Minnesota and all produce that's raised in Minnesota," he said.